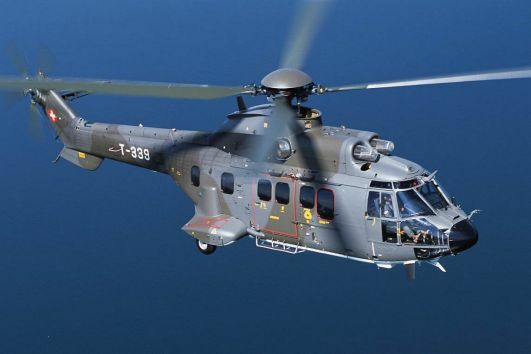 IAR Brasov, a public company, will cede to Vadstena, the company registered by Airbus Helicopters in Romania, a 15,000 square meter stretch of land at Ghimbav in Brasov County, according to a report of the company sent to Bucharest Stock Exchange. On that land, Vadstena will build an industrial hall of 8,550 square meters for the project to produce Super Puma MK1 helicopters in Romania. The shareholders asked the IAR board and the executives to negotiate with contract for the land, which should include several clauses. Thus, the land will be ceded to Vadstena for the project of producing Super Puma MK1 helicopters in Romania, but not for more than 99 years, whereas the price should be at least equal to the one set by an authorized evaluation company. The contract for the land will not be transferred to a third party without IAR agreement. Premium Aerotec has started the production of aircraft components at its new factory in Ghimbav, Brasov County, Romania, eight months from the ground-breaking ceremony of the 60,000 sqm plant. This first building section will provide qualified jobs for about 300 people. The new plant will specialise in the production and assembly of metal components for all Airbus series programs. It will be integrated in the process chain of Premium Aerotec’s German sites at Augsburg, Bremen, Nordenham and Varel. Premium Aerotec is planning to extend the new production facility with a second construction phase this year and plans to employ a workforce of up to 500. The workload of the new plant in Ghimbav comes largely from orders that had previously been assigned to subcontractors in the euro zone. Premium Aerotec GmbH has more than 6,000 employees and generated revenues of EUR 1.1 billion in 2009. Its core business is the development and manufacturing of metal and carbon composite aerostructures and the associated equipment and production systems. The company has production plants in Augsburg, Bremen, Nordenham and Varel in Germany, and in Ghimbav, Brasov County, Romania. The plant manager in Romania is Jochen von Wurmb, while Dieter Meiners is the chief operating officer of Premium Aerotec and CEO of the local subsidiary Premium Aerotec S.R.L.